A new feature lets you play matchmaker for your friends on the popular dating app. 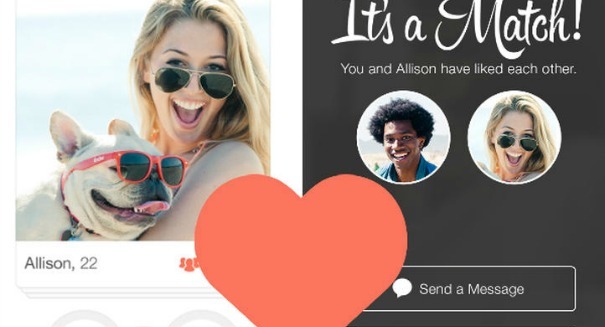 Tinder is letting you play cupid with your friends in a new feature. The mobile dating app unveiled the huge new game-changing feature on Friday, allowing members to share profiles of potential matches with friends. Now, you can use the “share’ button to send the link to the profile to a friend. After receiving the link, the friend has 72 hours or five clicks to decide whether or not to follow your suggestion. It’s more than just a fun new feature — it’s also part of a larger effort by Tinder to kick its reputation as an app that promotes hookup culture, a common criticism of the company, according to a CNET report. Some call the app a revolution in dating, while others see it as bad for normal human relationships. The new feature has some support from the scientific community. Duke University and Harvard Business School collaborated in 2014 for a study on playing matchmaker, and found that it increases the general happiness of the population. Rosetta Pambakian, who is a Tinder vice president, said that this was one of the most popular requests from users, which drove the company’s decision to add the feature, according to the report.